What can you get for a wooden nickel? Not much in most places, but at The Vermont Country Store, we’ll still take them as a form of currency. Of course, not just any wooden nickel will do; just the ones we hand out from time to time that can be used in exchange for one of the prized maple creemees that come from Mildred’s Dairy Bar. 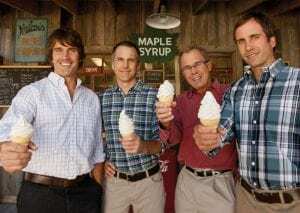 Eliot, Cabot, Lyman, and Gardner Orton enjoying a maple creemee at Mildred’s Dairy Bar in Weston, Vermont. Folks in Weston know that they don’t have to worry about the old adage, “Don’t take any wooden nickels,” because the ones they find floating around town bearing The Vermont Country Store’s name are good for something valuable to lovers of ice cream everywhere. We’ve given out hundreds of them to guests over the past few years as a measure of hospitality. Our wooden nickels have even motivated local children to participate in the library’s summer reading program! 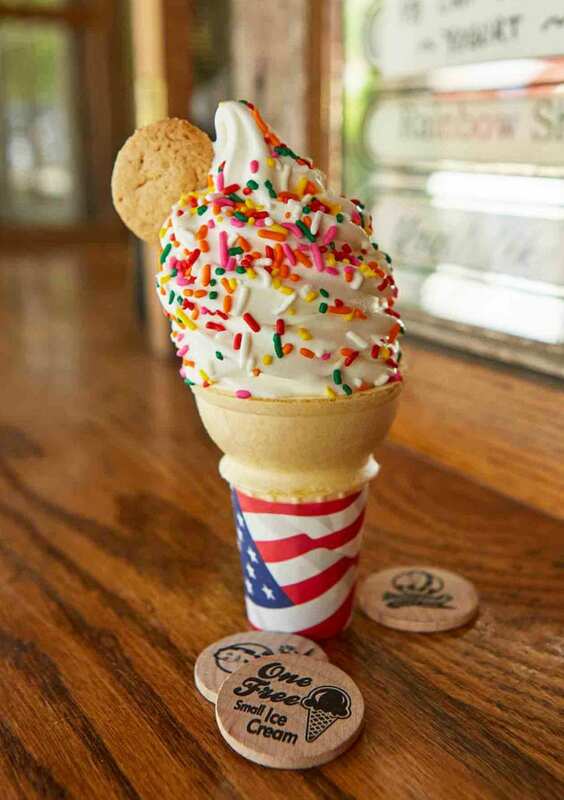 If you’re lucky enough to find one of these tokens the next time you visit The Vermont Country Store, we’ll gladly reward you with this memorable treat! I love the wooden nichol idea. We used to get them when we were kids. I have a collection of them .